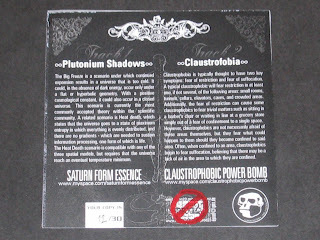 Format: CD release believed to be on the EProd23 label (Germany), no catalogue reference, released in 2010. 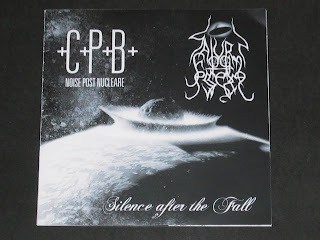 A split release between Saturn Form Essence and +C+P+B+ (France). Picture disc CD comes in a black and white two-sided paper sleeve in plastic wallet. Even allowing for the vast distances of space and the haphazard receipt of signals from the far reaches of the universe, it's been an awfully long time since the last post to this Blog. My apologies, but let us move straight into consideration of this very limited edition release (this is #12 of 30). "I believe that the use of noise to make music will continue and increase until we reach a music produced through the aid of electrical instruments which will make available for musical purposes any and all sounds that can be heard." 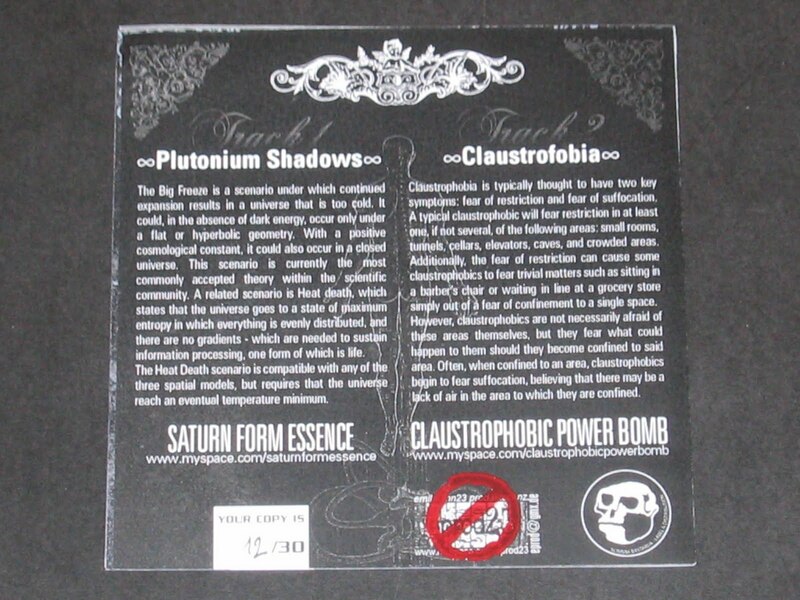 The SFE song is 'Plutonium Shadows' and - in keeping with releases from this project - is a song that is not unique to this release. 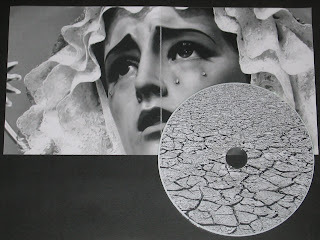 Two immediate places it occurs include the cassette of the same name released on Circumanalis Records in 2009, and also on the "H.Y.K.-14-1-01" self-released box-set from 2009. It's a thrumming, quietly ambient track, bringing to mind the deep space radiation waves pulsating through space, interspersed only with occasional static and other noise effects. Quite a hypnotic track in many respects, perfect for background listening whilst engaged on pressing, weighty matters. "The Big Freeze is a scenario under which continued expansion results in a universe that is too cold. It could, in the absence of dark energy, occur only under a flat or hyperbolic geometry. With a positive cosmological constant, it could also occur in a closed universe. This scenario is currently the most commonly accepted theory within the scientific community. A related scenario is Heat Death, which states that the universe goes to a state of maximum entropy in which everything is evenly distributed, and there are no gradients - which are needed to sustain information processing, one form of which is life. 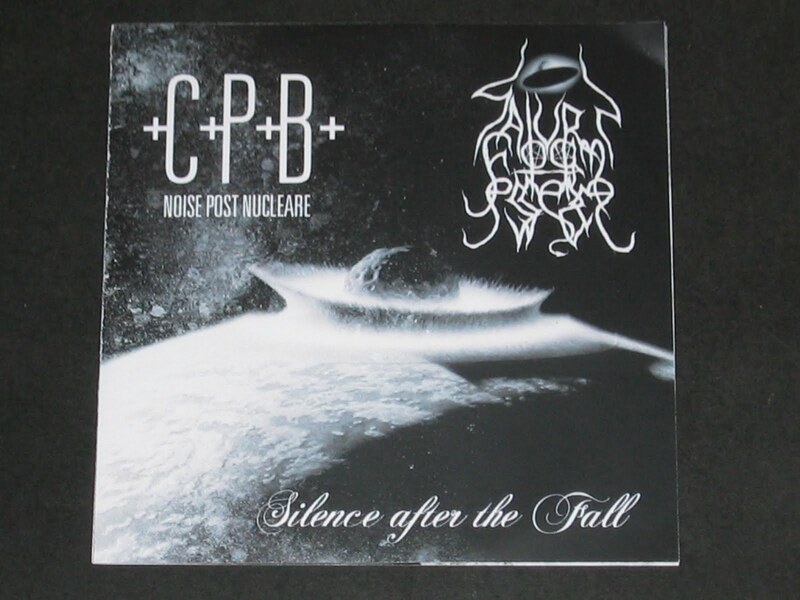 The Heat Death scenario is compatible with any of the three spatial models, but requires that the universe reach an eventual temperature minimum"
Finally, the cover of "Silence After The Fall" uses the same image as seen on the cover of Alexander Wieser's Heimatleid release "Shock Millennium", which is a random trivia fact that may yet serve you well in years to come!